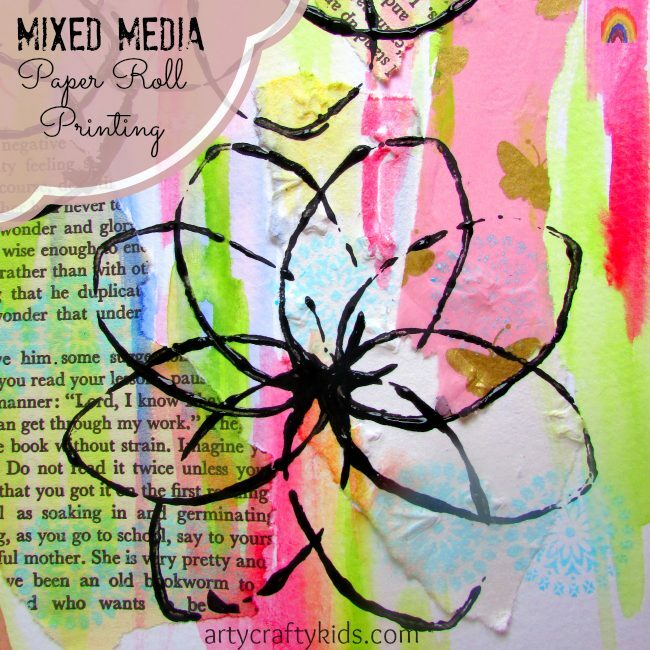 Mixed Media Paper Roll Printing is a great art process for kids and super easy to set up. Who doesn’t have an old paper roll to hand? 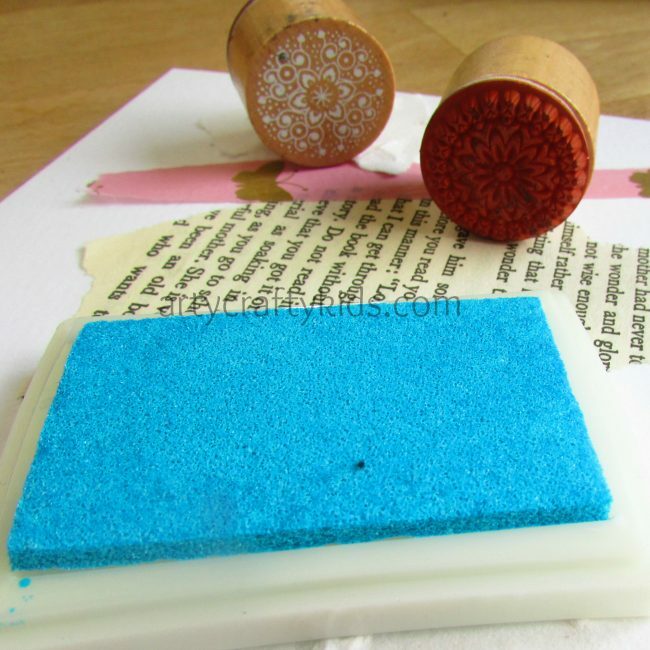 Combing it with mixed media enables children to explore different materials and concepts to enhance their art work and creativity with depth and layering. 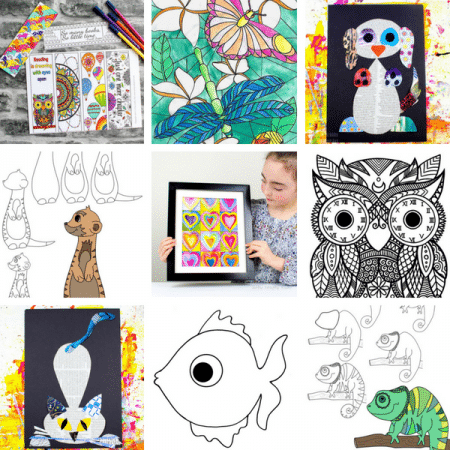 By exploring mixed media art processes, children can learn how different mediums compliment each other, which encourages them to ‘think outside the box’ and experiment. 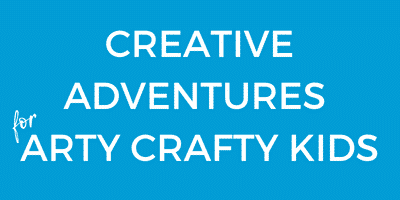 Mixed Media is an art form where different materials and artistic process are used. 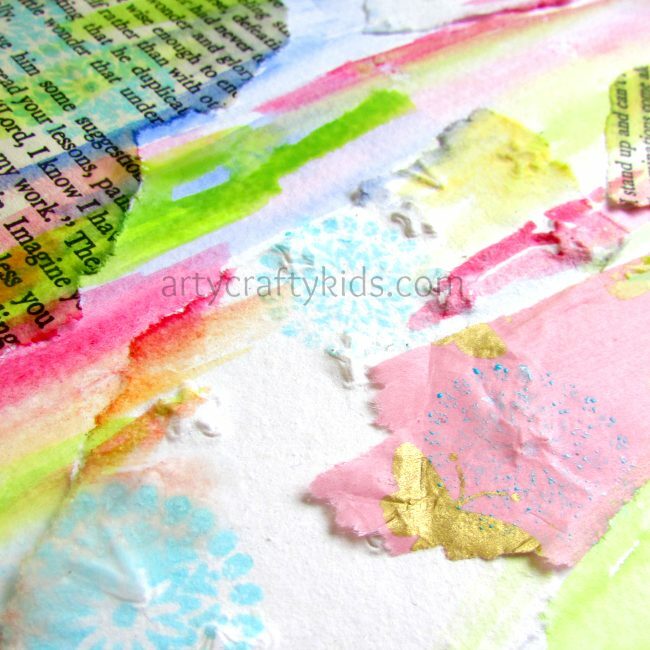 For example, our Mixed Media Paper Roll Printing is built up with a collage using textured papers and recycled books, watercolour paint, ink and paper roll printing with kids acrylic paint. 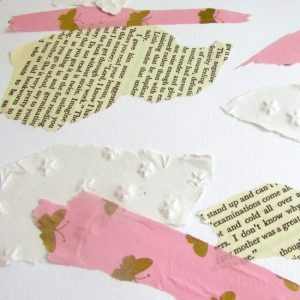 To start, we tore strips of recycled tissue paper, an old page from a book and some perforated white star paper and stuck them onto a sheet of watercolour paper in a random arrangement. And then applied watercolour paints using a variety of colours, covering some of the torn paper. Two lines of stamped patterned circles were added using light blue ink. Using a paper roll, we added the final layer to our mixed media art, using black paint. Angel suggested making flowers and made the petals by squeezing the paper roll to create a petal shape. The black paint contrasted beautifully against the background, creating a focus point of the painting. 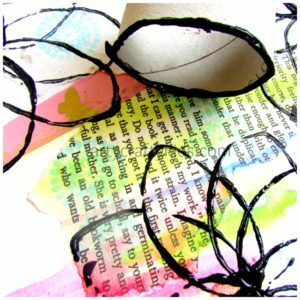 The paper roll could be swapped for a bottle top, a cork, bubble wrap or anything else that you have available at home, which captures the essence of what mixed media is about: exploring and experimenting with the materials you have accessible. 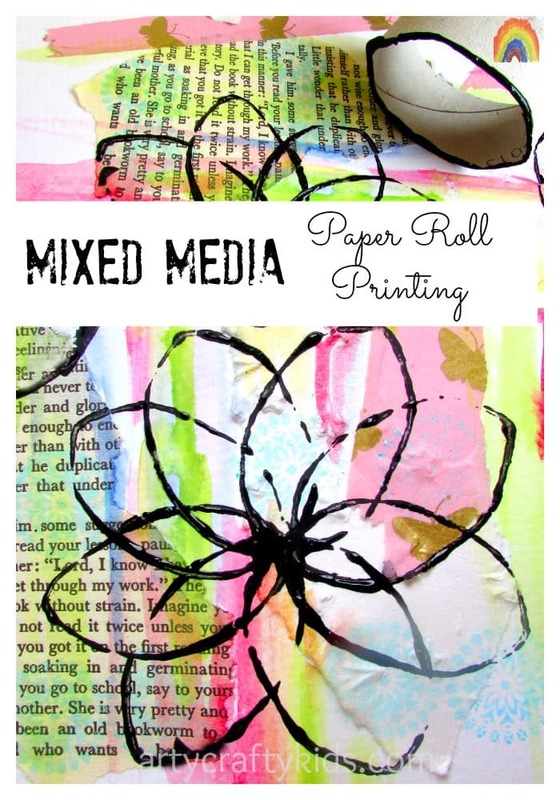 I hope you’ve enjoyed our Mixed Media Paper Roll Printing post.